The precise, minimal lines are effortlessly elegant, and the tables of some of the world's best hotels and restaurants know it well. At Figgoscope, we believe that it is time to unleash our inner foodies and to start enjoying every meal from buying the perfect ingredients, to every fork, knife and chopstick we eat it with. 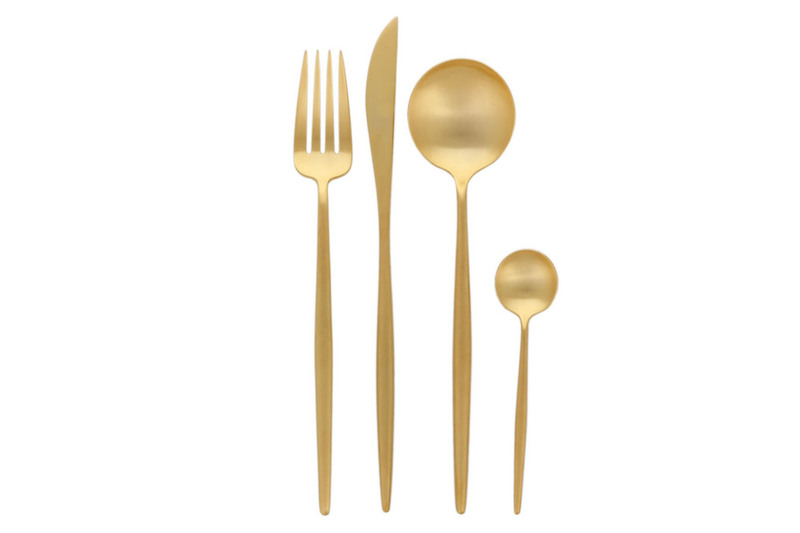 The great food we love to share with our friends and families deserves to be served with this perfectly crafted cutlery. What especially caught our curator's attention was the noble materials used by Cutipol, the nice heavy feel and the clean yet unexpected lines of the cutlery they offer. Therefore, we admit: cutlery can be the secret ingredient that transforms a great meal into an excellent one! very origins of the cutlery industry in Portugal. Traditional hands-on craftsmanship is paired with modern technology to produce superb modern flatware pieces. Cutipol cutlery is made voice by artisans in the village of Sao Martinho de Sande, Portugal, where designer Jose Ribeiro helms the heritage house that has endured in his family for three generations. The art of this family company is recognised not only for the quality and durability of its cutlery but also for the elegance and purity of its designs. Figgoscope is an exclusive distributor of Cutipol, and we supply cutlery for wholesale and hospitality. Please contact us regarding wholesale pricing, for a restaurant quote or to arrange a viewing. You can also sign up with us to download the collections catalogue from the link below. Please let me know if you would like to arrange a viewing of the ranges or request a quote.